Some composers love to play with their listeners, playing hide and go seek with their musical brilliance as they pop in and out of a soundtrack that, for whatever reason, fails to offer that complete experience. 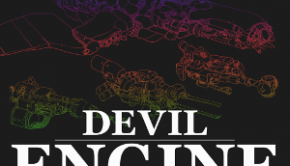 For a great deal of his career, veteran composer Motoi Sakuraba teased me in such a way. Occasional stand-out tracks graced his albums, and all were of generally high quality, but a lack of a solid orchestral sound combined with often writing in a manner that seemed just a little bit off for his material made me unable to give him the elite composer status in my mind that I thought he deserved. Then I played Baten Kaitos. From the opening movie, I knew this was the soundtrack that was going to break Sakuraba into my personal elite. Going further through the game, his music did not disappoint. He found his orchestral sound, and his progressive rock pieces were as strong as ever. And Sakuraba could not have chosen a better game to breakthrough on, the game itself is a real snoozer (although it’s worth playing simply for the environmental graphics, absolutely gorgeous). In case all this talk of breakthrough has any longtime fans of Sakuraba worried that the core of his distinctive sound might have gone missing, cast that worry aside. There’s no doubt that Sakuraba is still at work here, and there’s no place it’s more evident than in the game’s battle themes, all in Sakuraba’s trademarked prog rock manner. Thanks to solid composition and live performance, all of the game’s battle themes have quickly become some of my favourite video game rock tracks, and really some of my favourite rock tracks in general. “The True Mirror” is the game’s standard battle track, and fits the bill perfectly. From the opening diminished 7th chords to the beautiful yet somehow urgent violin melody to the energetic organ solo full of Sakuraba ripping all over the keyboard producing a wonderfully dirty sound, “The True Mirror” balances a tense battle atmosphere with light-hearted fun that matches the suits the games more menial battles so well. 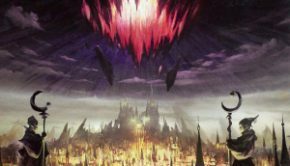 There’s a lot of variety in the game’s boss battle themes, with eight tracks dedicated to that purpose. One is a simple but effective re-performance of “The True Mirror” with electric guitar taking the melody from the violin, and being given the solo duty instead of the organ. The other seven are generally high quality pieces, ranging from the organ heavy “Glowing Cloud” to the orchestral “Supreme Ruler of the Nine Heavens” to the almost metallic “Vitriolic a Stroke” and to the distinctive pop colour of “Chaotic Dance”. With the exception of “Dark Conviction”, that comes off as a very weak orchestral tension piece, each of the other battle tracks on the album is great listening. The prog rock side of the soundtrack is rounded off by a couple of dungeon themes. The first is “Survival from the Force”, the tune that graces the game’s final dungeon. The piece is a great fit, with the best synth performance on the album this side of “Glowing Cloud”. The harmonies are exciting, the synth sounds are energized, and the solos are incredibly satisfying. The other is “Soft Labyrinth”, an enjoyable enough piece, but it is formulaic Sakuraba, and doesn’t quite fit as the accompaniment to a dungeon that is entirely made of pink clouds. Getting a sense of how improved Sakuraba’s orchestral sound is doesn’t take long. “Prologue Peak,” the first theme on the album and first to show up in the game, is a brief example of how much more impressive the orchestral pieces on this album will be compared to previous Sakuraba scores. A lot of it has to do with improved sound quality, but superior composition is apparent as well, especially once we experience “Nadir’s Whale,” the backing for the game’s preview movie. This is Sakuraba at his most expressive, transiting between different moods quickly but without jarring the listener, and though it is a great background piece, the melodic lines are far better than anything similar Sakuraba has done. Many moments in the piece have heavenly moments reminiscent of Valkyrie Profile‘s “Valhalla”, but the impact here is far more powerful as his melodic material works far better with the impressive progressions, and in the less majestic segments of the piece, the melodies still hit well, whether they be creepy or dramatic. 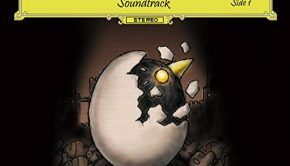 “Nadir’s Whale” is a strong statement by Sakuraba and offers a good sense of Sakuraba’s new orchestral sound, as well as the entire game’s emotional pallet. There aren’t all that many pieces in the game for full orchestra, but in general the game’s pieces which rely on acoustic instrumentation are a step beyond anything Sakuraba’s offered before. “Between the Winds” is an intimate composition, principally for harp, that captures the atmosphere of islands made out of clouds very well. The main line is beautiful, and sweeping air sound effects are present as well to create a sublimely peaceful atmosphere, that also touches the main character’s melancholy. “Limpidly Flow” is an emotional and atmospheric piano and violin duet that occasionally calls upon choir and sound effects to accent the already established mood. The piece flows as its title suggests, but there is a chill to the piece as well, as a river frozen at the surface, with water continuing to travel beneath. Another intimate emotional portrait is offered by “Soul Poetry” which features some truly beautiful singing (both choral and solo) atop textural piano and harpsichord parts, along with a low string accompaniment that appears towards the piece’s conclusion. The emotional side of the Baten Kaitos score is some of Sakuraba’s most honest and direct writing, and when combined with the exceptional musical performances it helps create some very powerful scenes in a game whose voice acting and dialog couldn’t accurately depict the emotional states of its characters. Though the game’s incidental pieces for full orchestra aren’t nearly as exciting as the works in smaller ensembles, there are still some very interesting pieces that use the full orchestra. One of the most impressive is the string dominated “Supreme Ruler of the Nine Heavens” which is one of the game’s two final battle tracks. The track has an intense 10/8 rhythm that is dominated by almost perpetual sixteenth notes. Woodwinds and brass play a background role but their presence creates a foreboding mood underneath the active strings. My biggest complaint about the track is that the orchestration is pretty much static throughout, I would have liked to see the musical ideas transmitted through the different instruments a bit more, but the piece is so effective as is that it’s tough to really whine about that. The orchestra is also in full force in “Imperial Dynamics” although the effect is not nearly as memorable or affecting. A majestic melody floats above an obnoxiously obstinate brass rhythms and arbitrary percussive flourishes. It’s a shame the piece falls so short, because the string glissando and percussion crescendo which opens the piece is very colourful. It is still a nice piece and adequately covers the majesty of an imperial capital, but isn’t nearly as interesting as some of the other tracks on the album. There are moments when Sakuraba does falter, even with his great new orchestral sound. “Awakening Disaster” with its dramatic vocals, spastic harpsichord playing, and chugging strings fails to really grasp the feeling of imposing doom. “Twisted Time and Distorted Sky” is a better version of a similar atmosphere, but still feels as if it’s trying too hard to be impressive and ends up feeling more like a midget sticking his chest out at a giant than an awakened god stepping through the sky. 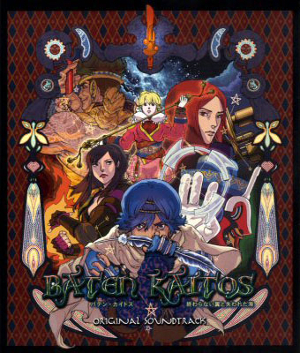 Though it has occasional faults, Baten Kaitos possesses one of the finest video game scores I’ve encountered to date. Anchored by seven remarkable battle themes in Sakuraba’s traditional electric rock vein, and augmented by a fabulous variety of acoustic ensembles. Covering bouncy folk themes, intimate emotional statements, and impressive imperial tracks, Sakuraba has created a musical setting that breezes live into Baten Kaitos‘ already varied and beautiful landscapes, as well as providing the window into the souls of the characters that the voice acting failed to provide. Beyond the tracks I’ve discussed in this review, the Baten Kaitos Original Soundtrack covers a wide musical scope, very rarely disappointing as it drifts between often very contrasting ideas. There are few soundtracks I would recommend before this one, and even for those that are not familiar with the game, this album is a source of a great deal of musical joy. Posted on August 1, 2012 by Richard Walls. Last modified on January 22, 2016.